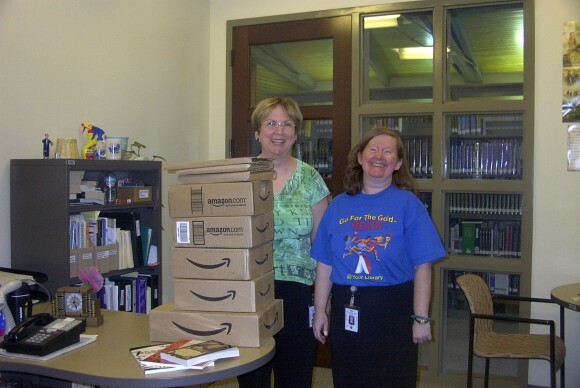 I’m attaching a not-so-wonderful photo (I’m in the green, Brenna is in the Summer Reading t-shirt) of the stack that was delivered the other day. It’s as tall as Brenna! (She’s the Branch Librarian). Again, thanks for thinking of us. The response from around the country is inspiring!